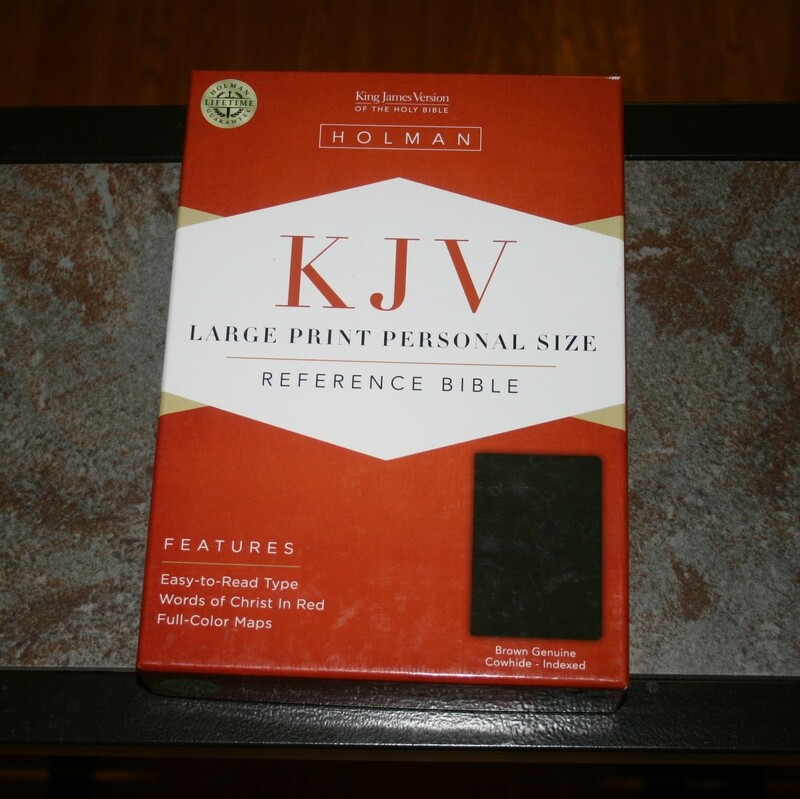 Holman’s Large Print Personal Size Reference Bible is a KJV that is easy to carry and hold but still has a large enough print for comfortable reading. 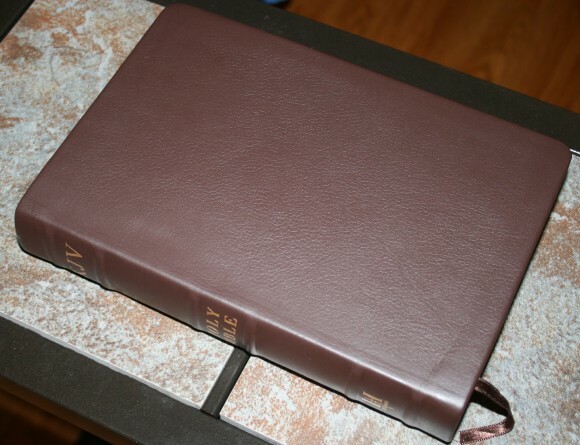 This edition has brown genuine cowhide with thumb-index. 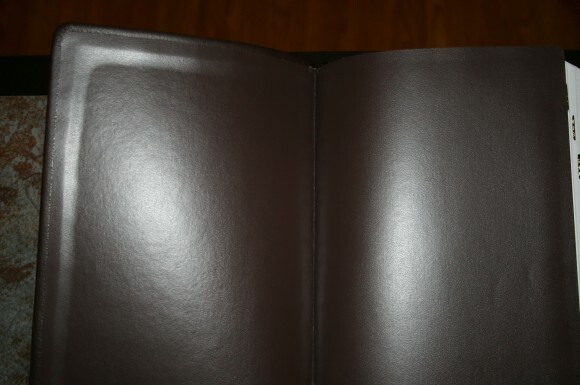 The cover is brown cowhide. 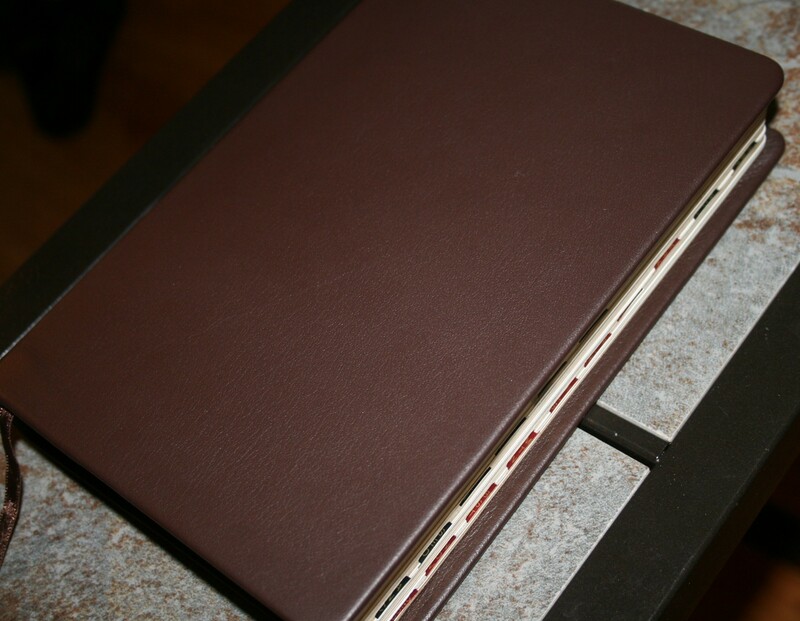 It has six ribs on the spine that give it a more elegant look. The leather is soft to the touch. The liner is brown card stock that feels like it’s vinyl coated. It’s not overly floppy, so it will lay flat in your hand. This is something that I think is important for preaching or reading along in Church. The binding looks glued but I found some stitching in the front and back, so at least portions of it are sewn. It does lay flat fairly well. The paper has a blue tone. I’m not sure of the gsm but it’s fairly thick and opaque. The font is 12 point. This is a red-letter edition. 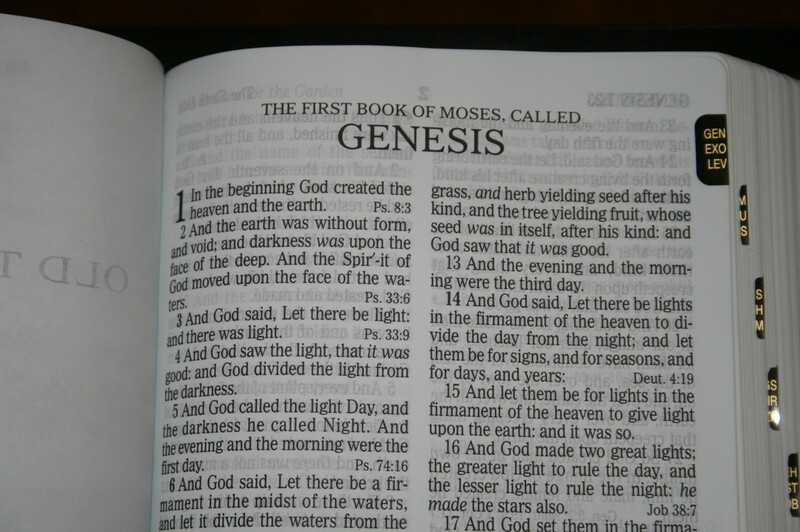 Both the black and red fonts are about a medium boldness and they don’t have a lot of variation. There are pronunciation marks to indicate which syllable is stronger. 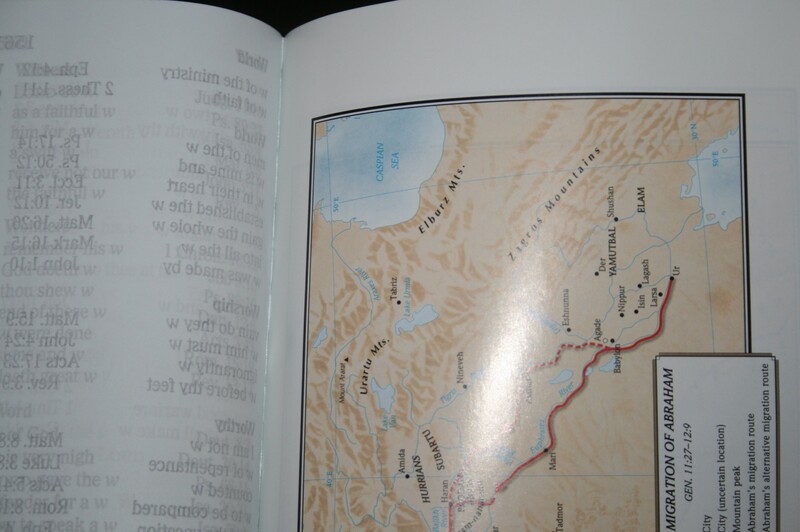 It has italics for supplied words. Thumb-index – The thumb-index is placed into a square cutout that takes up less space than the circular cutouts. They have three books per index marker. 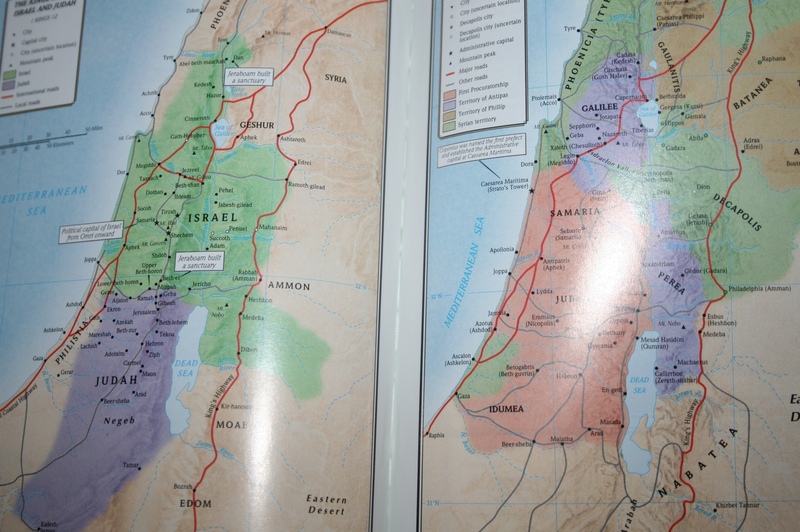 Makers for the OT are black and markers for the NT are red. 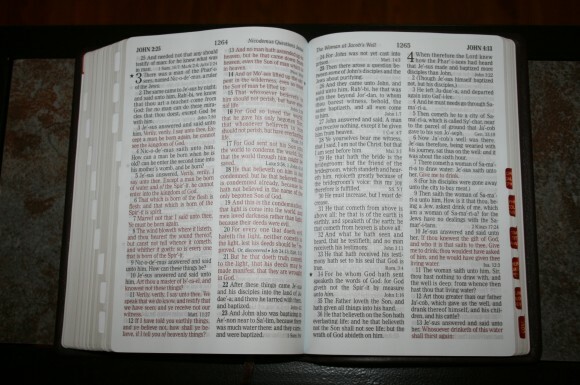 End of verse references – Reference appear at the end of verses. Not all verses have them and those that do only have one or two. There are a few notes, but very few. I would like to see more references. 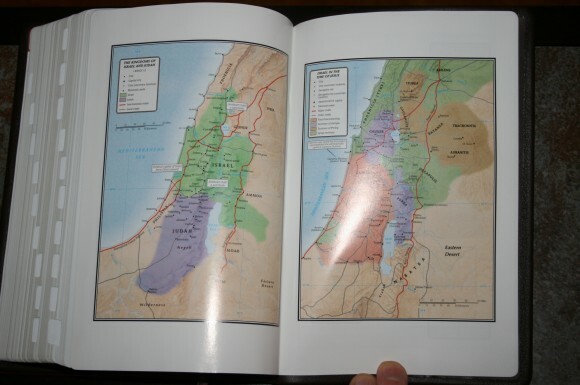 More references would have made this Bible much more usable for study. 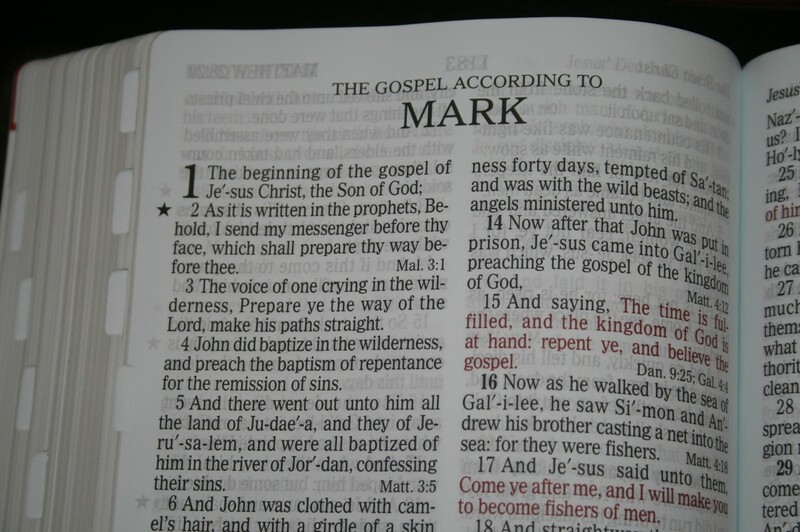 Prophesies – Messianic prophesies in the OT are marked with an open star. They are marked in the NT with a filled-in star. 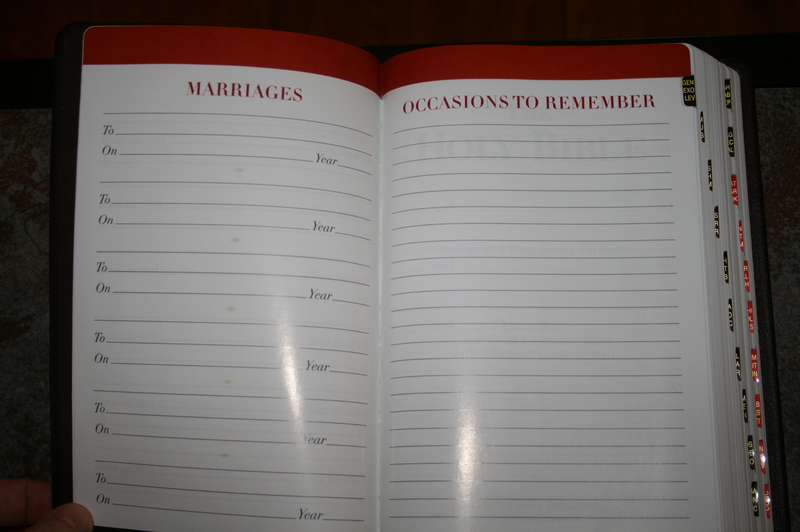 Page summaries – At the top of each page is a short sentence that summarizes the main event or thought on that page. 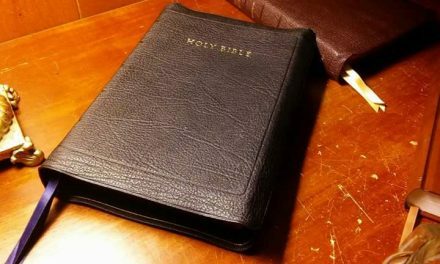 These are useful if you’re looking for something, such as the parable of the sower, and you’re not quite sure which chapter it’s in. 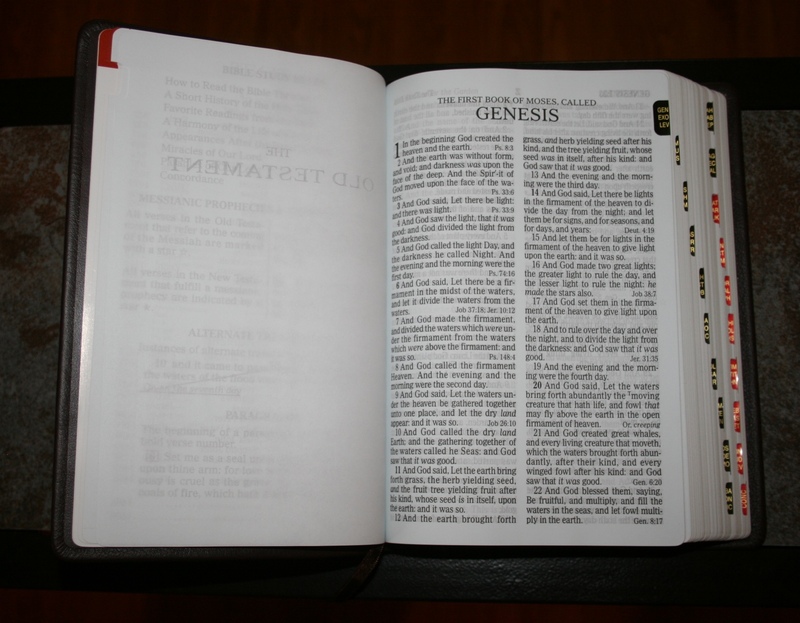 Ribbon – There is a single brown ribbon. It’s fairly long. It’s also on the thin side, but with the size of this Bible it makes sense. How to Read the Bible Through – This is a 3 and a half page article that covers why to read the Bible and gives suggestions and tips for reading. 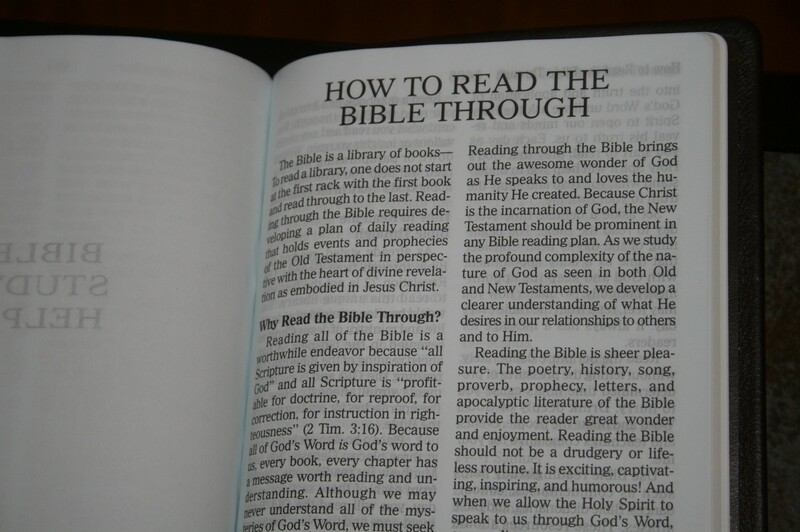 It includes a weekly reading plan. 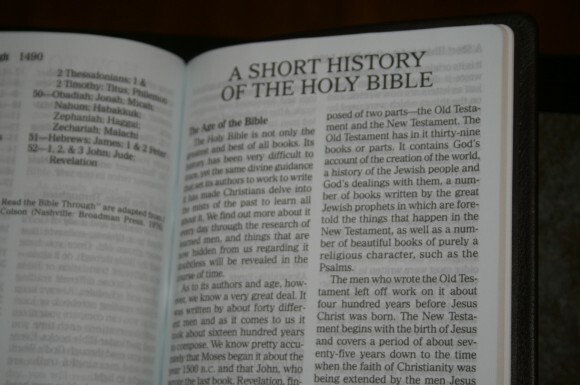 A Short History of the Holy Bible – This article is a little over 9 pages and includes how the Bible was written, gives a simple Bible overview, and explains the types of books and sections of the Bible. 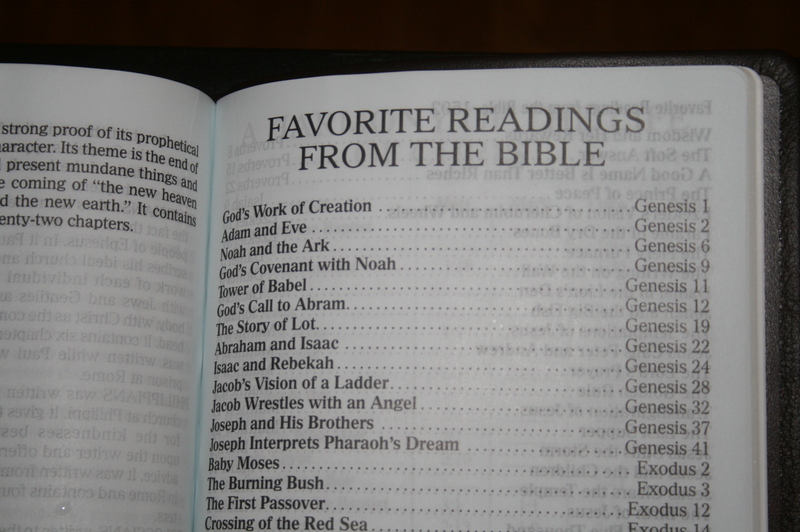 Favorite Readings from the Bible – This is a 2 page list of the major Bible events, people, Psalms, etc. 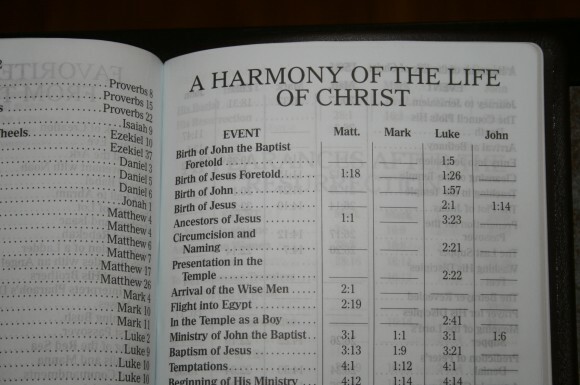 Harmony of the Gospels – The is table is 5 and a half pages and includes the Life of Christ, Appearances After the Resurrection, Miracles of our Lord, and Parables of our Lord. 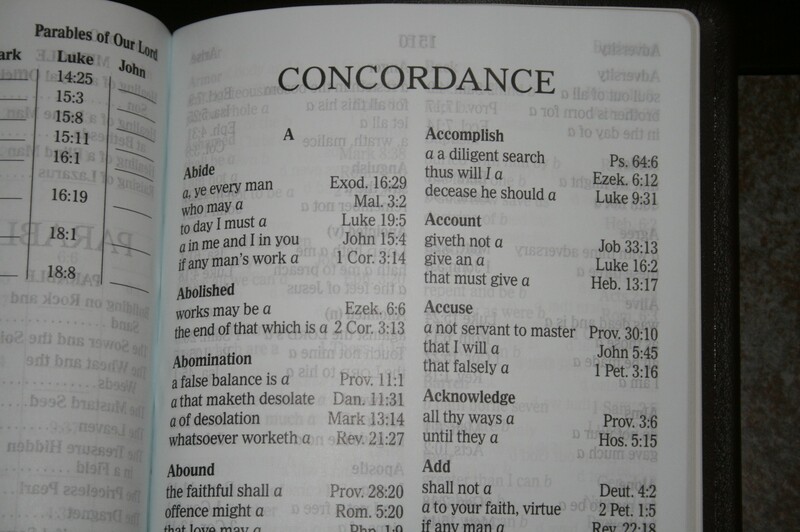 The concordance is 53 pages with 2 columns per page. It’s very basic and does not include entries for God. It’s just for those every now and then major searches. I don’t think it’s useful for study. There are 8 pages of maps on thick glossy paper. 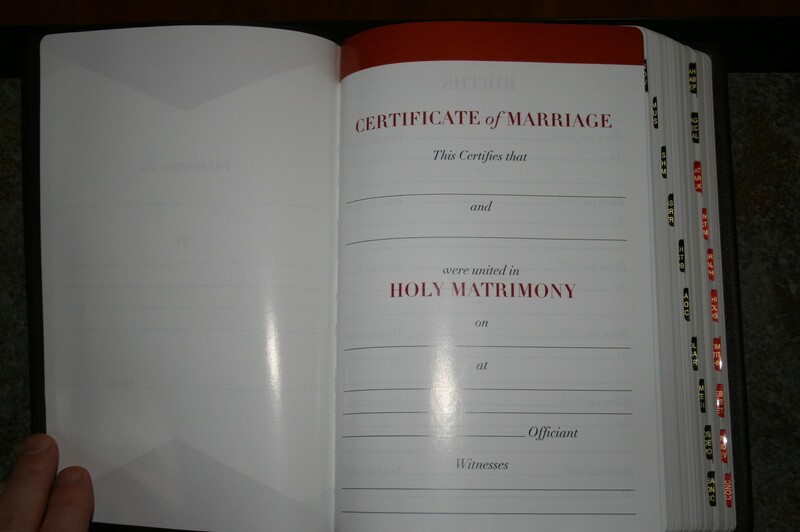 They are very colorful and are labeled well, making them easy to use. 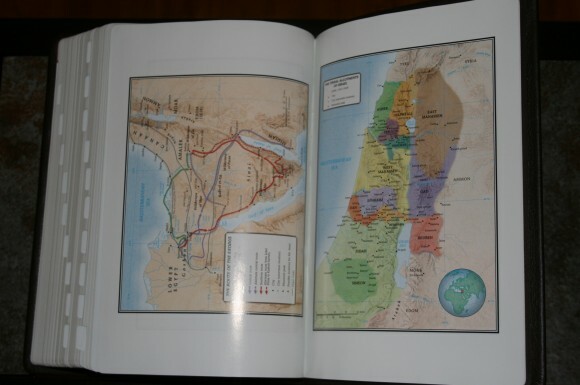 I consider them to be one of the better features as far as study helps. 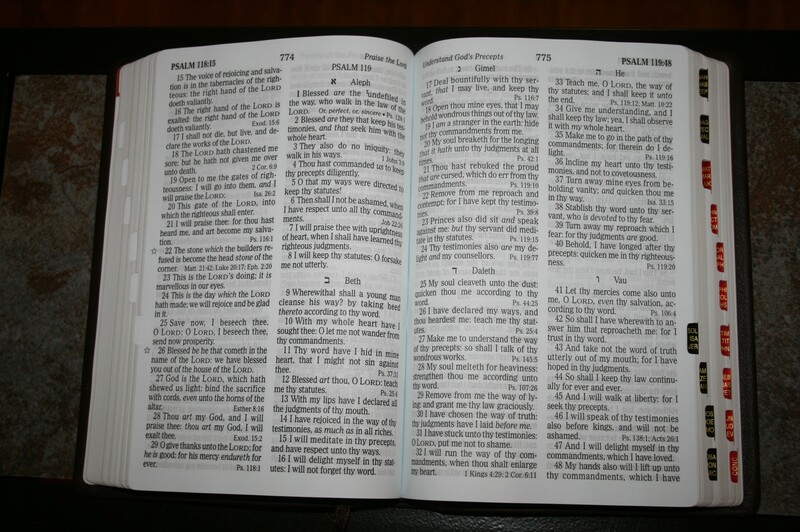 Hand size Bibles can be good for preaching and carry and they might even make a good reading Bible. If they have enough features they could even make a great Bible for personal study and sermon prep. 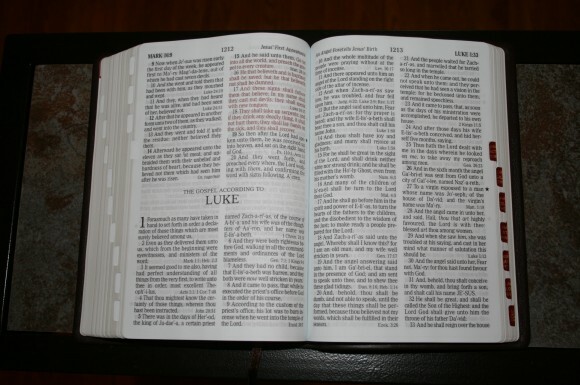 This one doesn’t have the features that I would want for study or sermon prep, but it does a fine job for reading, preaching, and carry (depending on what you need with you). The size feels right and the font is easy on the eyes. The cowhide is soft and looks great. Holman Publishing provided this Bible free for review. I was not required to give a positive review- only an honest review. I find the number and variation of high quality of bibles published here and abroad amazing. We are truly blessed to have such a variety to choose from. This product looks to me as if it would serve most very well, and would be a good choice for many. Many of us remember the very high quality available in the past, we forget the real turkeys, and remember only the wonderful ones. 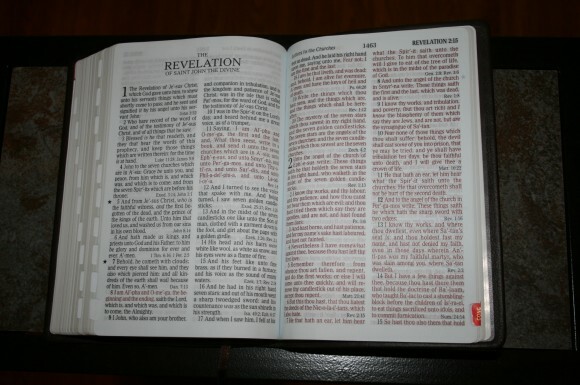 Quality seems generally better now, this bible reflects this, I’ve not seen a really bad edition in a long while. I can remember bibles that fell apart in just a few months, these are rare now. Holman should be congratulated on their new edition. 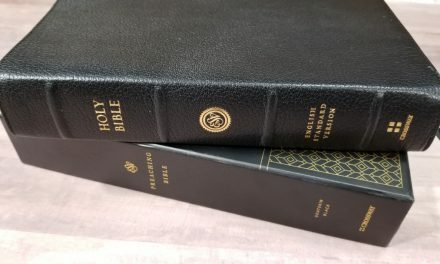 I’ve been impressed by the recent Holman cowhide bibles. The NKJVs I have are really nice covers and are easy to read. 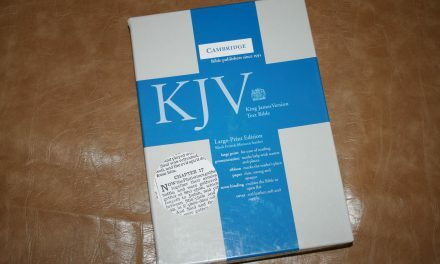 I like this KJV as well, except for the excessive self-pronouncing in the text. 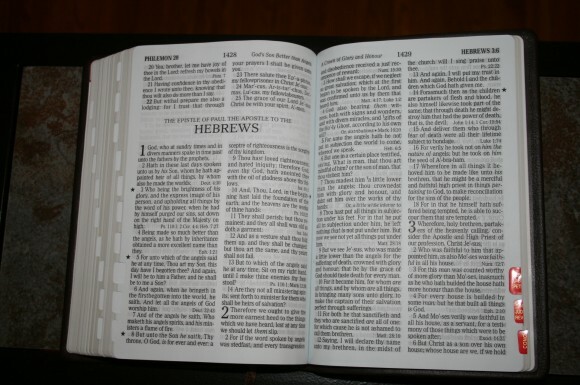 There is self-pronouncing on Jordan, Simon and Jesus in the picture above. I’d hate to see some of the genealogy passages in this bible. Seems ridiculous to me and stops me from purchasing or recommending it. I don’t mind a little self-pronouncing but this is overboard in my opinion.